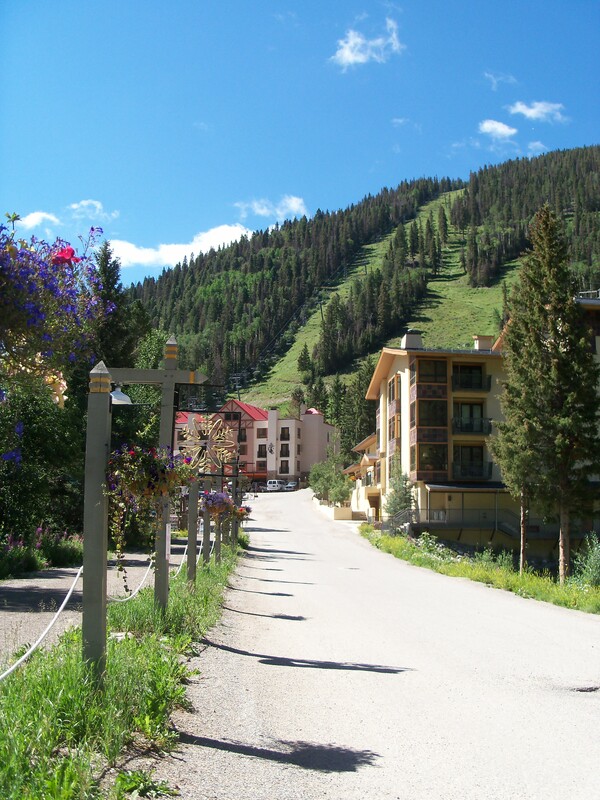 After our beautiful drive into the mountains around Taos ski area, we stayed in Taos town center. The Town Plaza is cute, and of course there are lots of shops and restaurants. 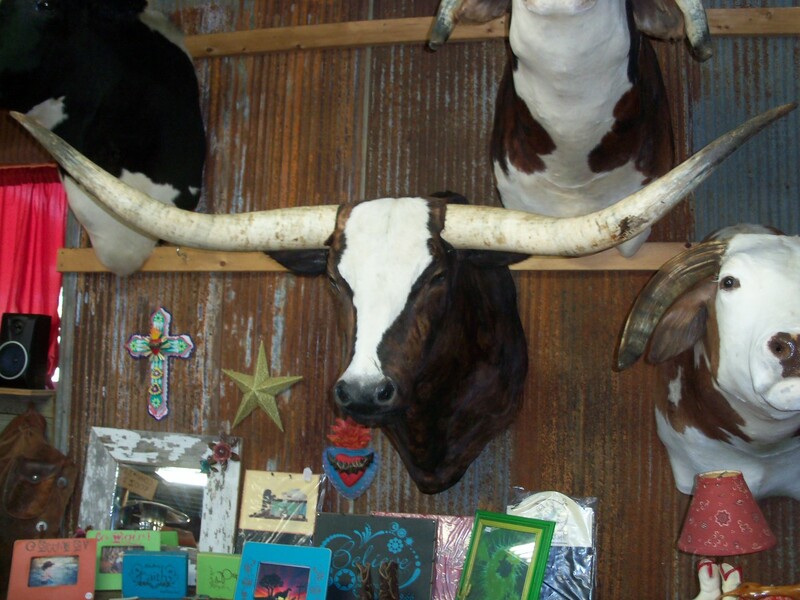 If you like American Indian Art, a little Spanish art thrown in, and once in a while some Cowboy are, you’ll fall in love with shopping. There is a lot of sterling silver earrings and necklaces. But always remember just because it looks good out there, it might not fit in so well when you get home. I find that I like the jewelry look so did indulge myself with a few pieces this trip. 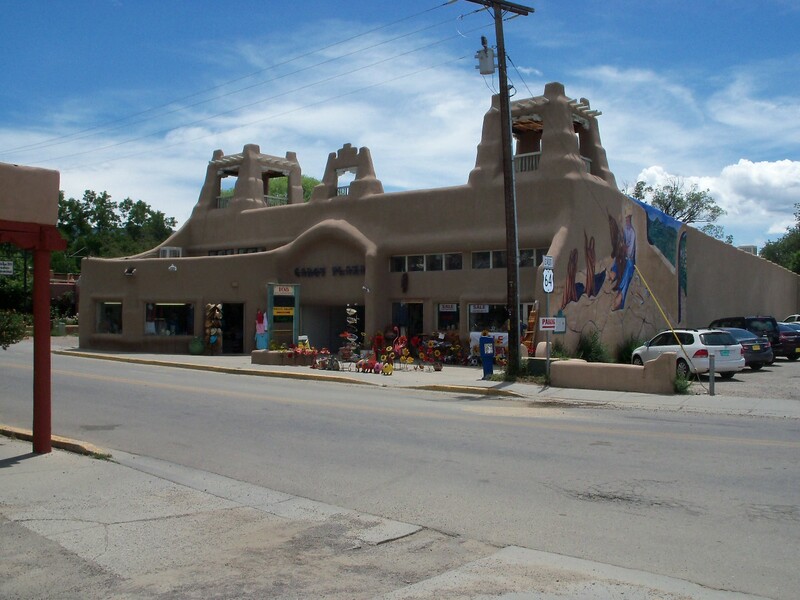 While in Taos, do not miss the Taos Pueblo. It is historically significant, something like you have never seen before, and just plain interesting. You are on an Indian Pueblo where people are living their daily lives, so there are many restrictions, so be aware of what is OK and what is not, and photography is certainly not allowed. Once you see the Pueblo, you will recognize it many paintings you see while shopping, it is a popular scene to paint. The history is quite amazing. 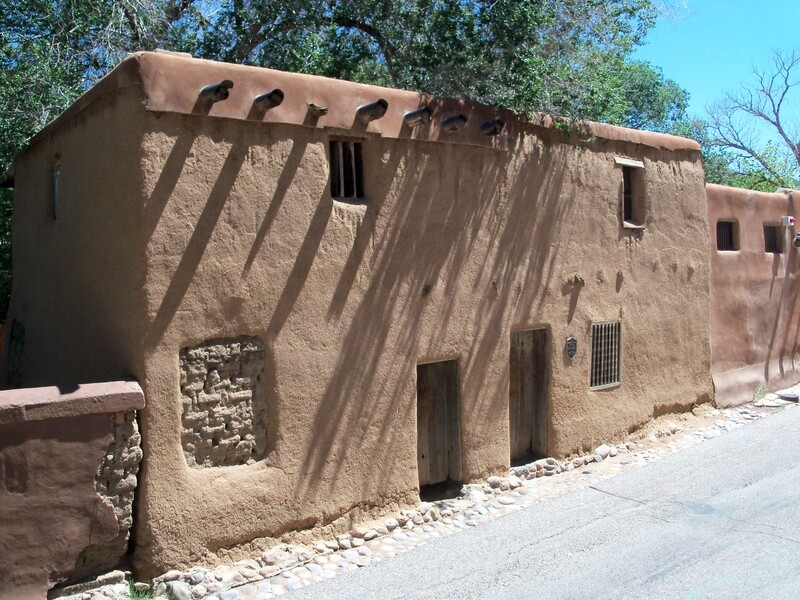 Around Taos and South to Albuquerque there are approximately 19 Pueblos, and you can visit each one. 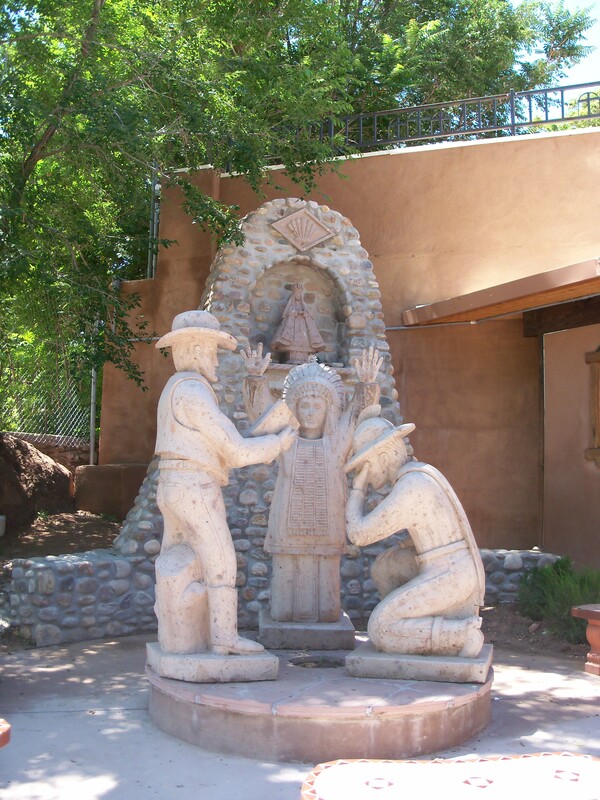 Each Pueblo offers its own uniqueness, from as little as a visitor center selling their wares, to casinos and beautiful golf courses. definitely should put on your list and visit a few. There are many missions along the way, and each with its own significance. 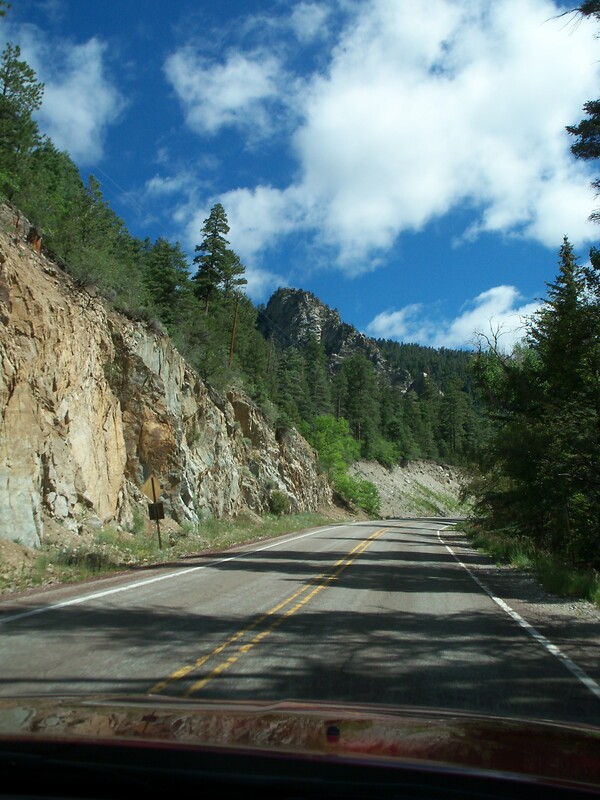 Most are off the main routes, so when you visit the missions, you’re also getting a scenic drive a long the way. 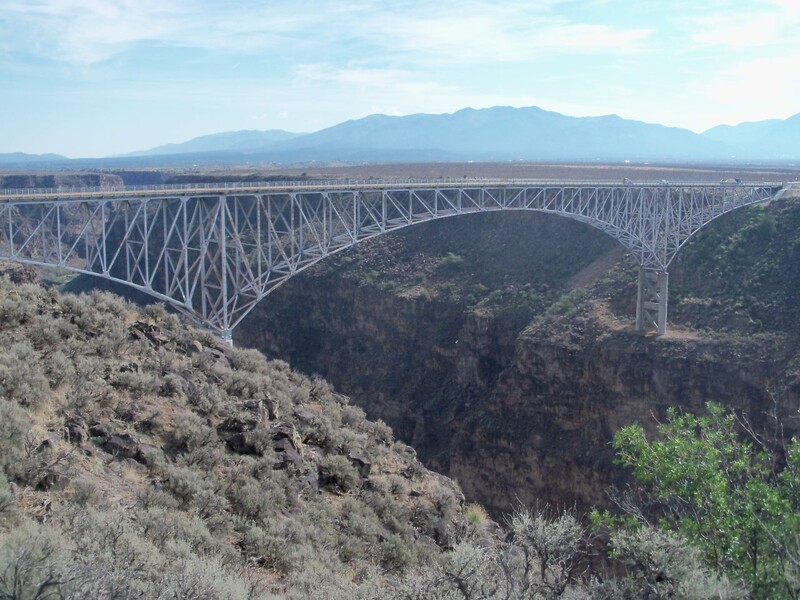 Also, just west of Taos is a really cool bridge that goes over a gorge, definitely worth the 8 mile drive out-of-town. 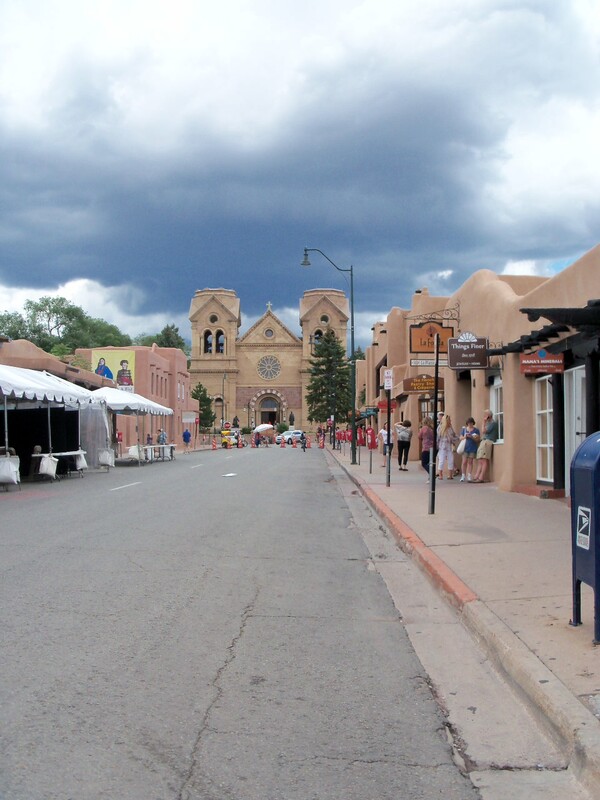 Arriving in Santa Fe, you realize it is a much bigger city. 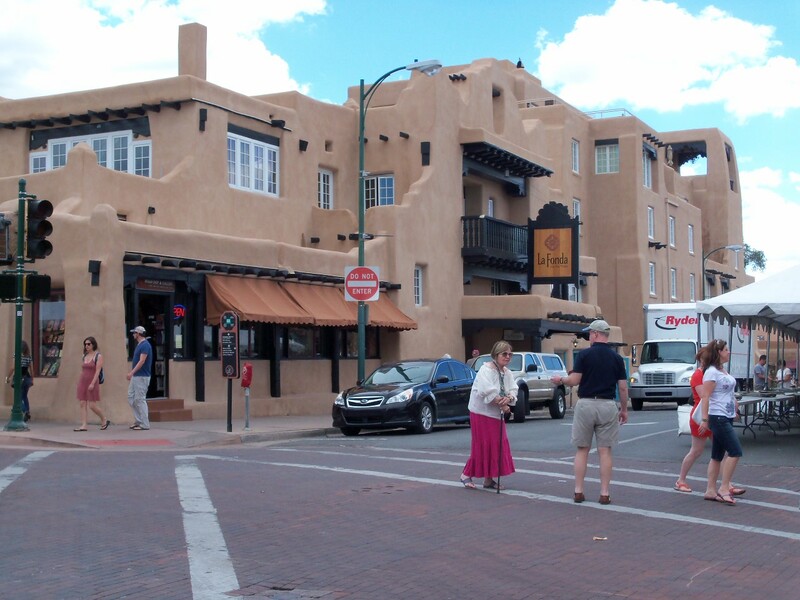 There is the new section of town where the Shopping Mall and all the chain restaurants are at, but where you want to be is in the city center, the historic Santa Fe Town Plaza. 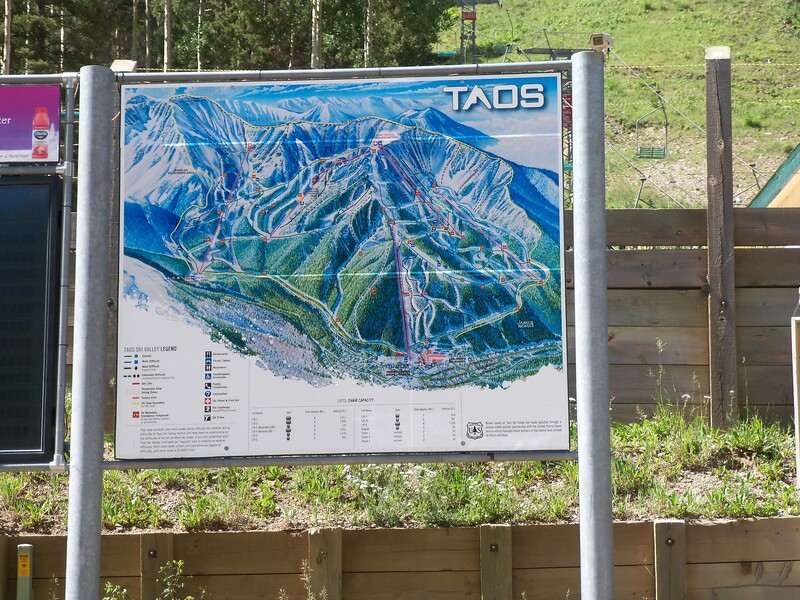 The old town area is about 3 times bigger than Taos. The shops are not only on the Plaza, but down many side streets. There are some nice local museums including some art museums you don’t want to miss. There are some beautiful Churches and Missions around the Plaza, and the oldest house in the Country is located right off the Plaza. 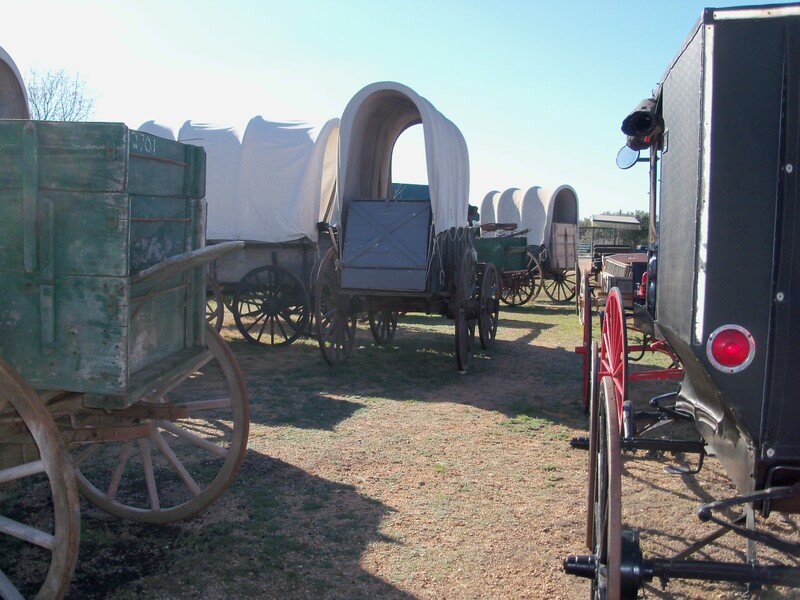 A short drive away is Canyon Road and its about a mile long of Art Galleries. There are all kinds of art, not just Indian or Cowboy art, but everything. 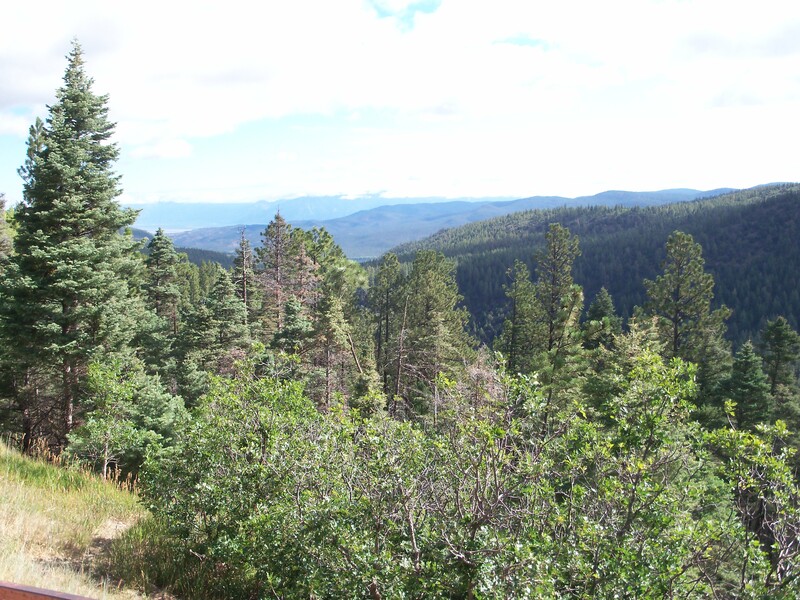 You could spend a day just walking up and down Canyon Road. If you’re looking for a new painting, or a piece of art, you need to put this on your list before you buy. But remember to bring your checkbook, this is not for the faint of heart. 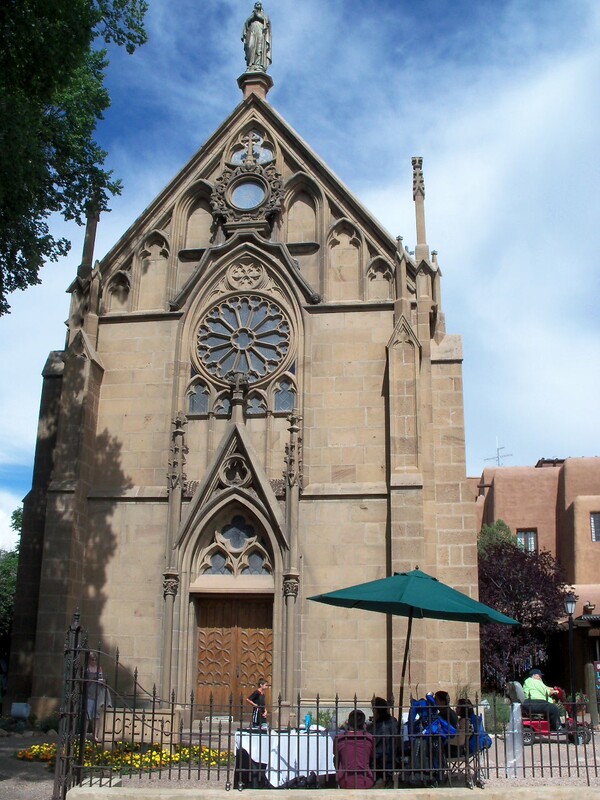 I could consider Santa Fe a great place for a women’s weekend. 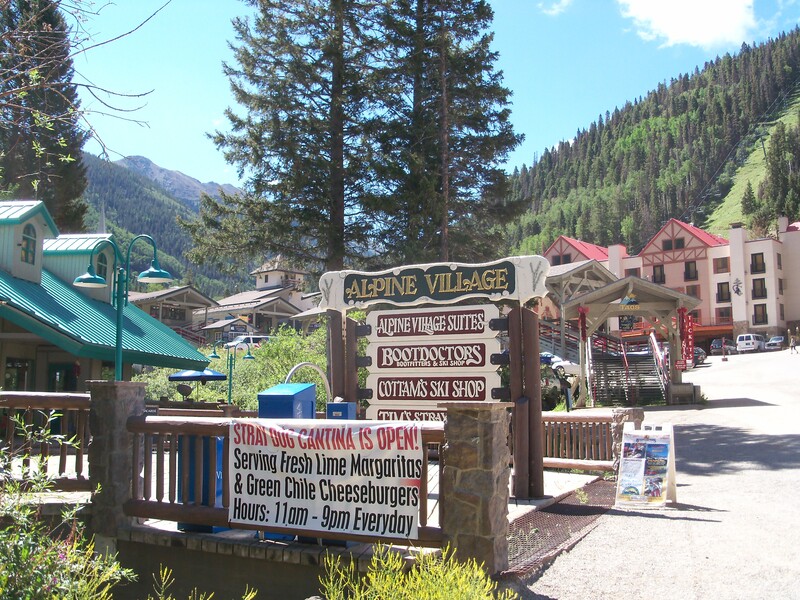 If shopping is your thing and you want everything contained in one area, what a great weekend get-away. But if you’re looking for a special something that you and your husband want, then this is a great couples escape also. I didn’t see a lot of things that would keep children interested. The weather was warm in July, but the mornings and evenings refreshing. There was some rain, but nothing that ruined our days. These were just some of the sights along the way. 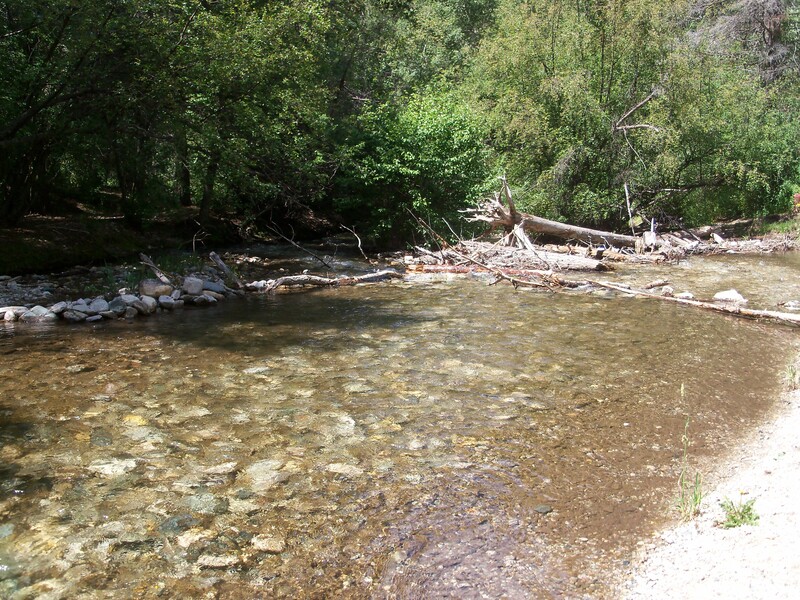 We drove along the Rio Grande River and saw tubers, looked like that would be fun. 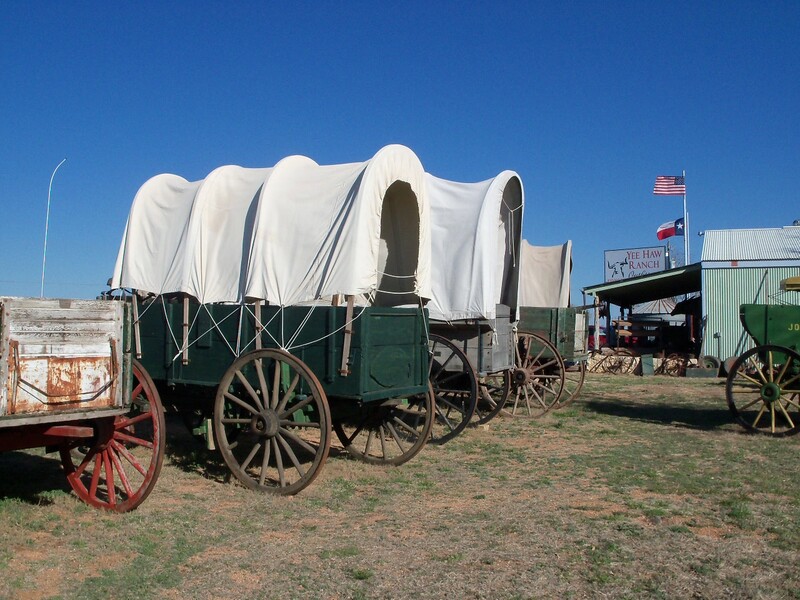 After Santa Fe, we drove on to Albuquerque, another nice destination in our travels. Until next time, happy travels to whatever destination you choose…….